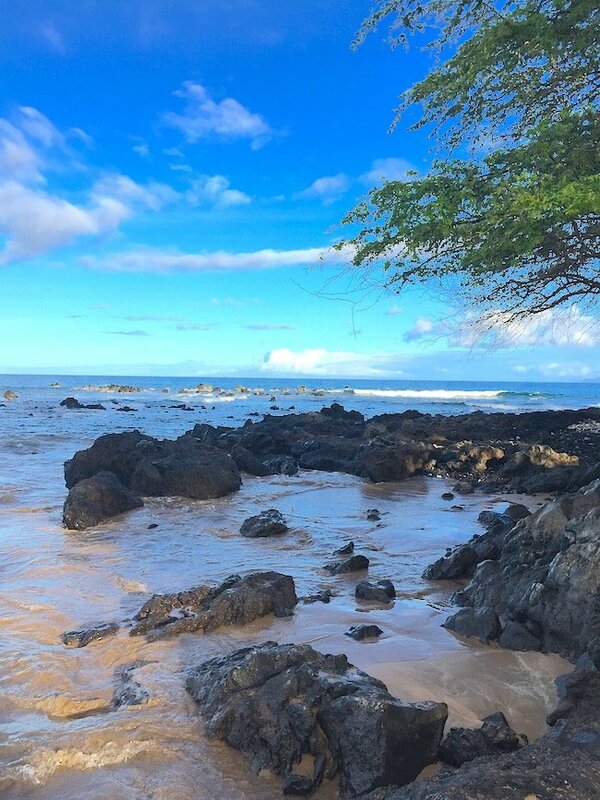 We are excited to share a recap of our recent family vacation to Maui. We partnered with American Express and Hilton HHonors and had the BEST time! 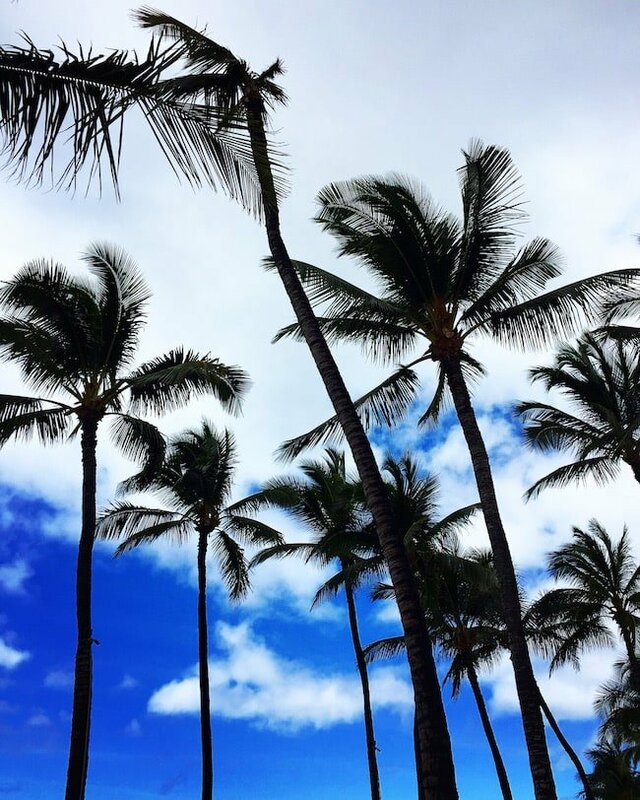 Hawaii is hands down our favorite vacation spot. We took Caleb to Maui when he was little, and Josh and I went to the Big Island before Maxwell was born for our babymoon. Hawaii really is paradise! We were thrilled to go back to Maui for a family vacation. Today, we are going to share where we stayed, our favorite eats, favorite things to do, travel tips, and lots of fun photos! 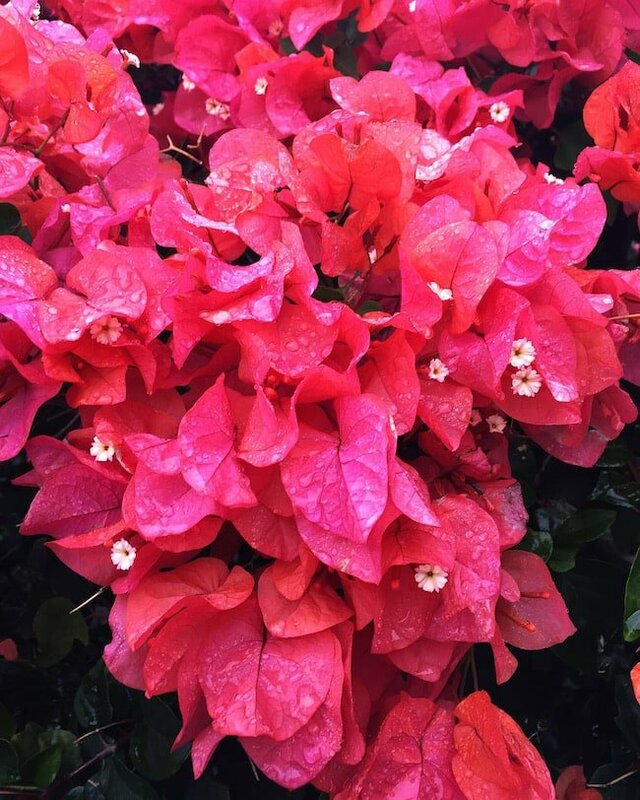 Are you ready for a little trip to Maui? Let’s do this! 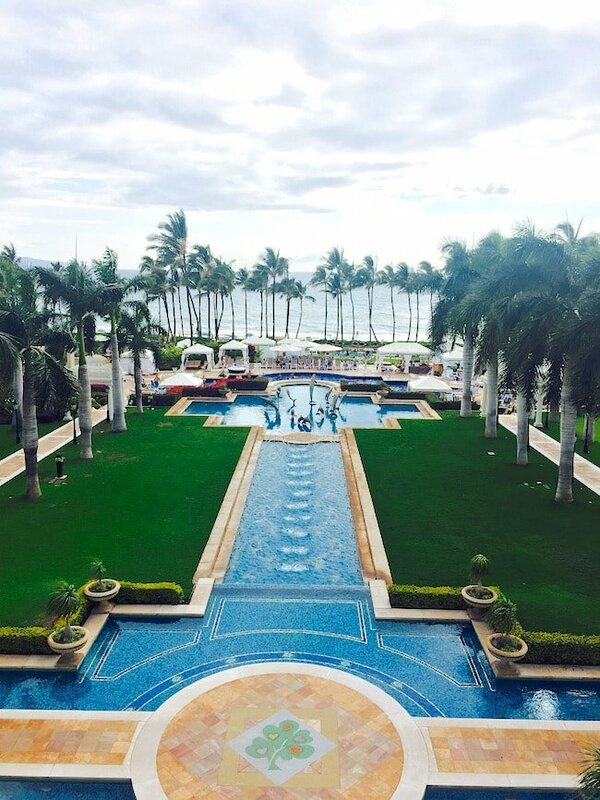 We stayed at the Ho’olei Villas at the Grand Wailea, a Waldorf Astoria Resort. The villas are across the street from the main resort, but we had access to the pools, beach, fitness center, restaurants, etc. They have a shuttle service that takes you back and forth so you don’t even have to walk. It’s not far, but we were on vacation, so it was nice to ask for a ride and be lazy:) The pools at the Grand Wailea were so fun for the kids. They have a lazy river and tons of water slides! 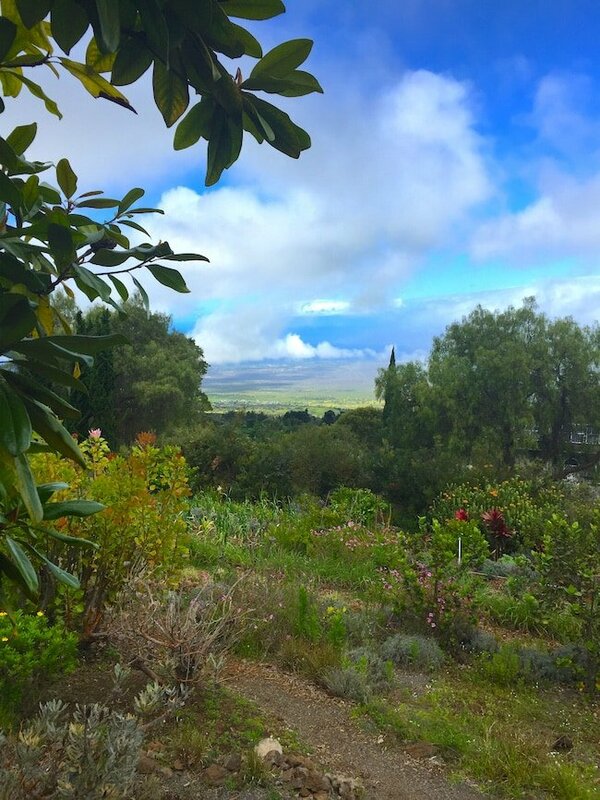 Ali’ i Kula Lavender Farm-We visited the lavender farm on our first trip to Maui and wanted to go back. It is so pretty, and the lavender and flowers smell amazing! 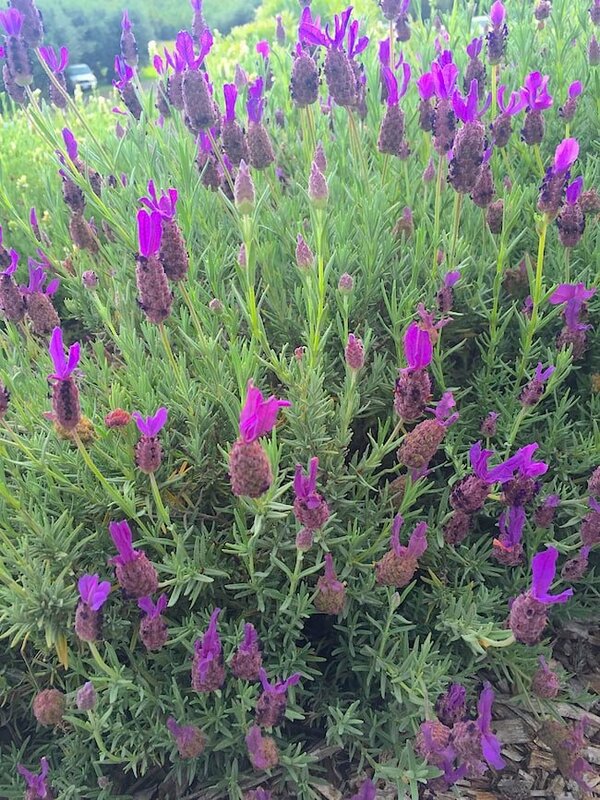 We went on a lavender tour and learned about the different types of lavender. The boys loved running around the farm. 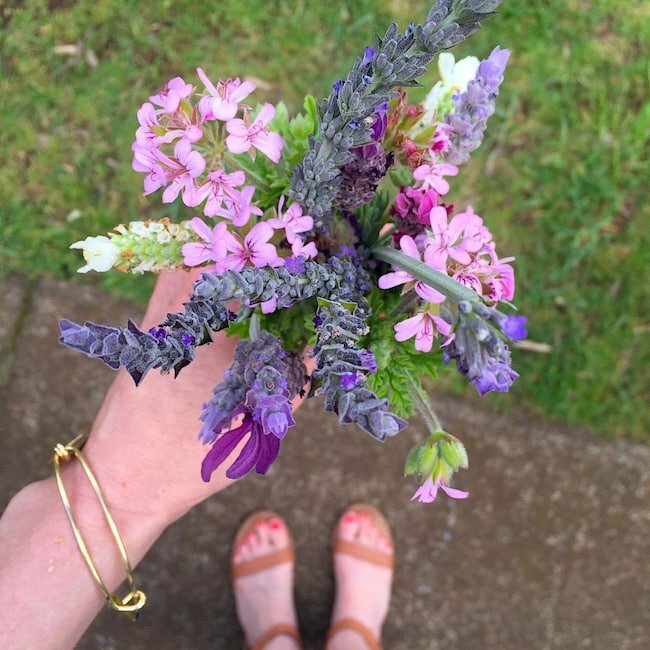 By the end of the tour I had my own little lavender bouquet! We also got to enjoy fresh lavender scones and tea! They have a cute little gift shop with lavender everything! Everyone is so nice and helpful too! We love the lavender farm! Maui Ocean Center-When we told the boys we were going to Hawaii, Maxwell immediately started asking about fish and turtles, so we knew we had to take him to the Maui Ocean Center. It is the perfect spot for kids! The boys loved seeing all of the ocean exhibits. We ate lunch at Seascape Ma‘alaea Restaurant, which is conveniently located in the Maui Ocean Center. 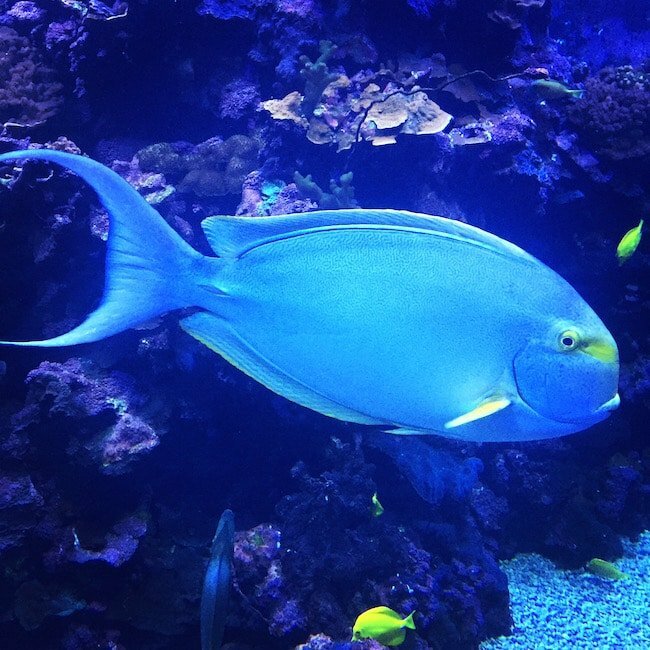 It is a great place for families because the kids can sit by a huge fish tank. There is also a great view of the ocean. The food was good and we all had a fun time! Snorkeling-We snorkeled every day, it was so fun! Our favorite spots were Ulua beach and Maluaka beach. We went early in the morning so we could see the best fish. Josh even saw an octopus. We also went on a snorkeling boat tour with Kai Kanani. 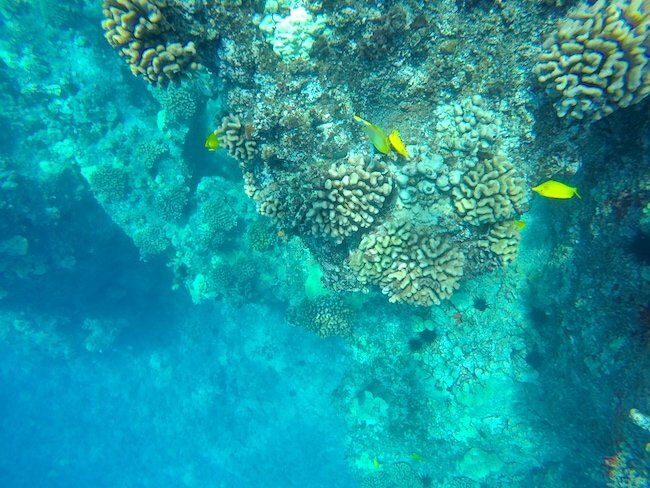 The boat took us to the south end of Maui and we were able to snorkel in a couple different spots. We also enjoyed lunch on the boat and the sunshine. Fun fact: David Robinson was on our snorkeling tour and we ate lunch with him. He is a super nice guy! Beach-We went to the beach every single day! You have to when you are in Hawaii! 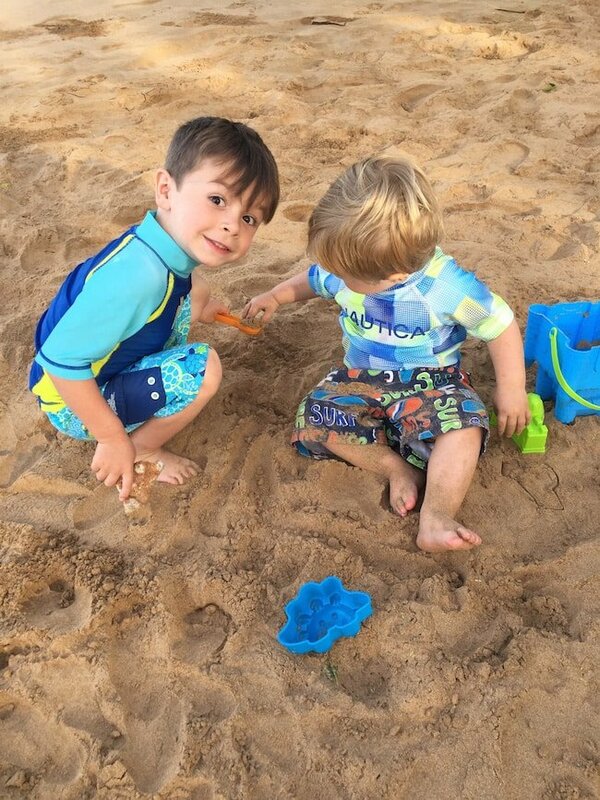 The boys loved the sand and water. Maxwell was a little scared at first, but he got used to the waves after awhile and then fell in love! He kept yelling the water is going to get you! It was so cute! We went for lots of walks on the beach! The boys made lots of sand castles too! Ululani’s Shaved Ice-Shaved ice is a MUST in Hawaii and Ululani’s is the best! The boys loved it. 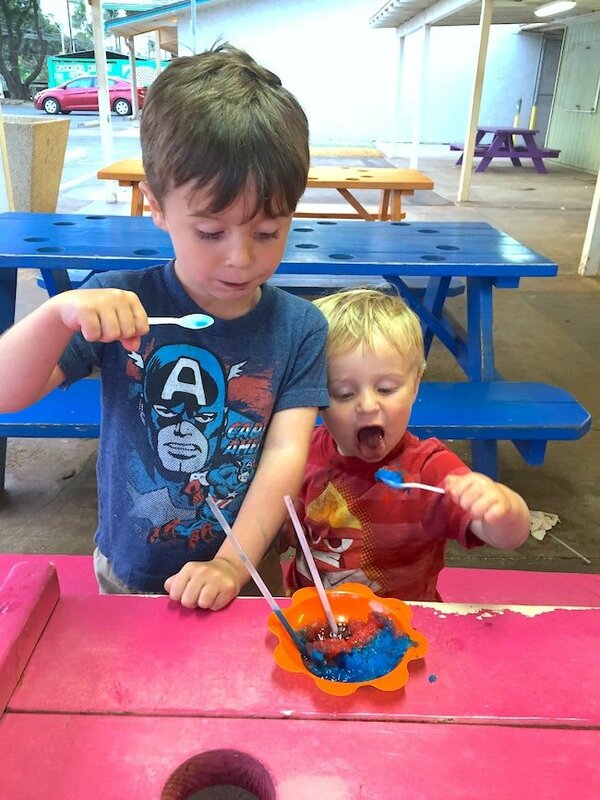 Look at those faces:) We made sure we got shaved ice with ice cream at the bottom! Such a treat! 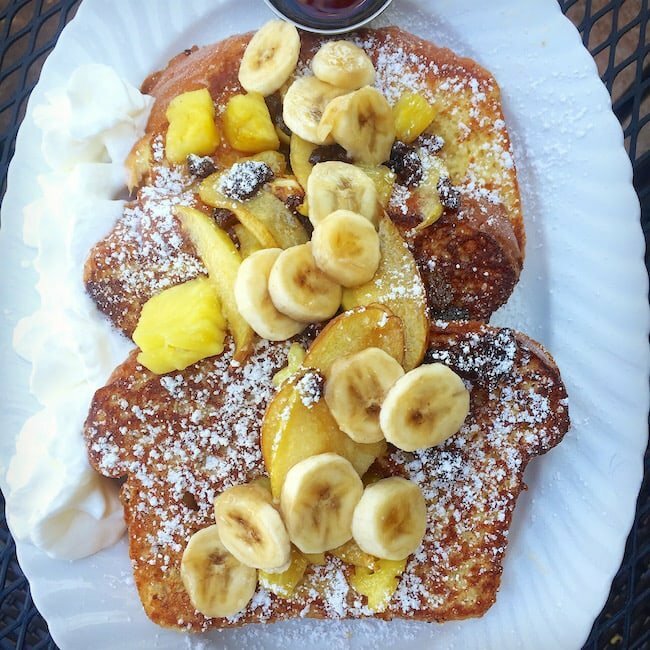 Chez Memme Bistro & Bakery is a great place for breakfast. 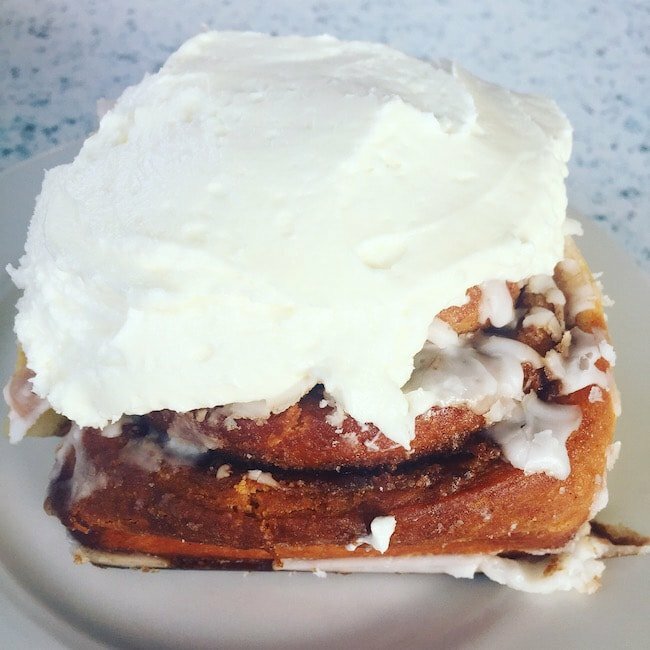 They make their breads and pastries in-house and the brioche French toast trio is amazing! Some of the best French toast I have ever eaten! The restaurant is quaint, quiet, and the service was great! T Komoda Store & Bakery-Donuts on a stick? Yes, please! 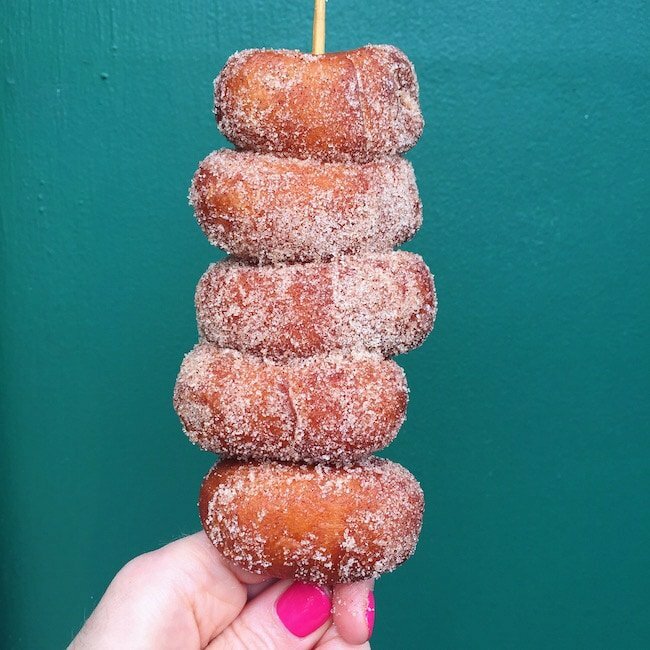 We tried the cinnamon sugar donuts and the glazed donuts on a stick. Both were fresh and tasty! The store is kind of dark and nothing too special, but the donuts were worth it! A fun place to stop by! 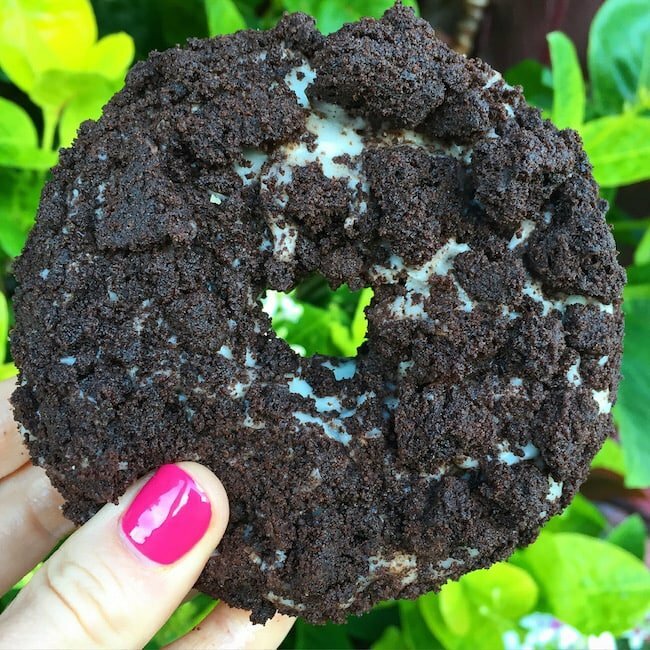 Donut Dynamite-I walked over to Cafe Kula at the Grand Wailea to get donuts from Donut Dynamite one morning. Several people on Instagram told me I HAD to try their donuts and luckily they were sold at the resort. We tried the Oh!Reo Donut and the Samoa Kine Donut. Both were tasty, a real vacation treat! Pita Paradise is a great place for lunch or dinner. Start with hummus and pita bread. The hummus was creamy, flavorful, and the pita bread was soft and warm. I ordered the veggie pita sandwich and Josh had the gyro sandwich. We both loved our meals. 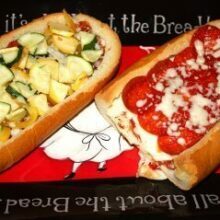 They offer grilled pita cheese sandwiches for the kiddos and the boys devoured them! 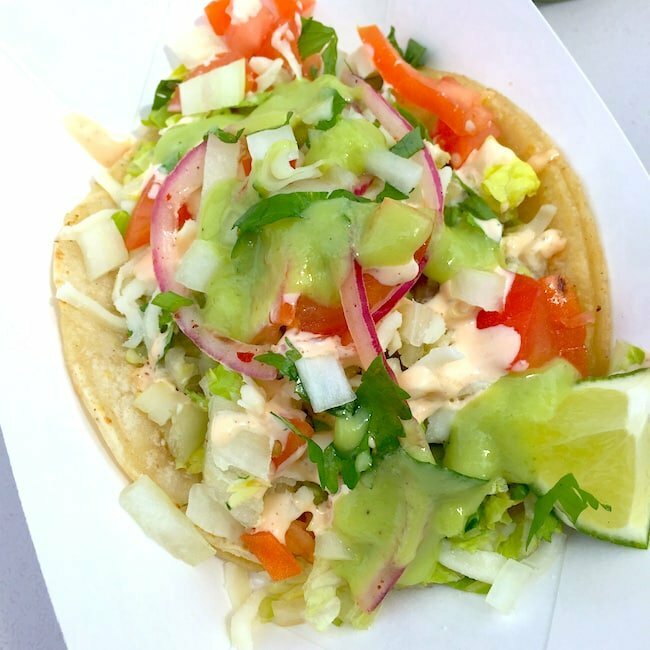 Ono Tacos is a food truck located in Lahaina. It is a great place to stop for a quick and delicious bite. The street tacos are tasty and affordable! I loved my veggie taco with the green avocado salsa, Mmmmm! 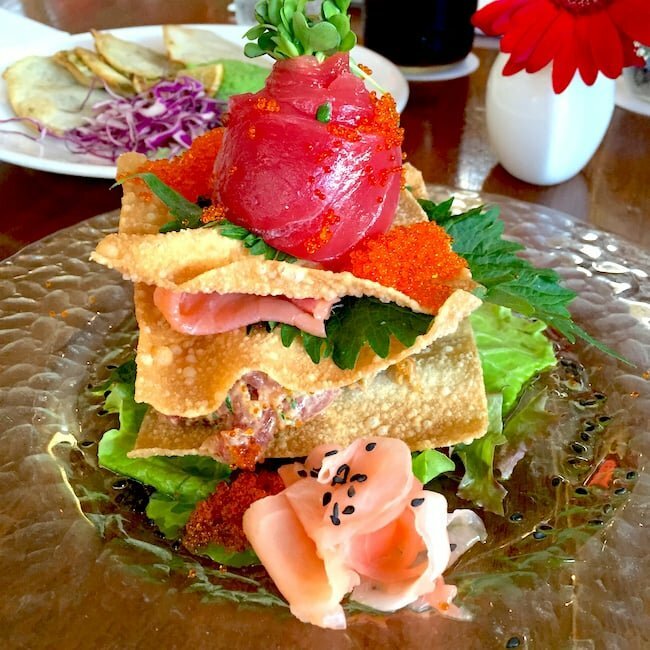 Hali’ imaile General Store is Chef Bev Gannon’s original and most acclaimed restaurant featuring eclectic American food with Asian overtones. It is a must visit! We loved our meal. Josh is still talking about the Sashimi Napoleon, layers of Ahi tartare, smoked salmon, sashimi ahi, crispy wonton stack, and wasabi vinaigrette. He also loved the ribs. Messy, but worth it! I am still talking about the desserts because you all know I have a sweet tooth and the desserts were off the charts good! 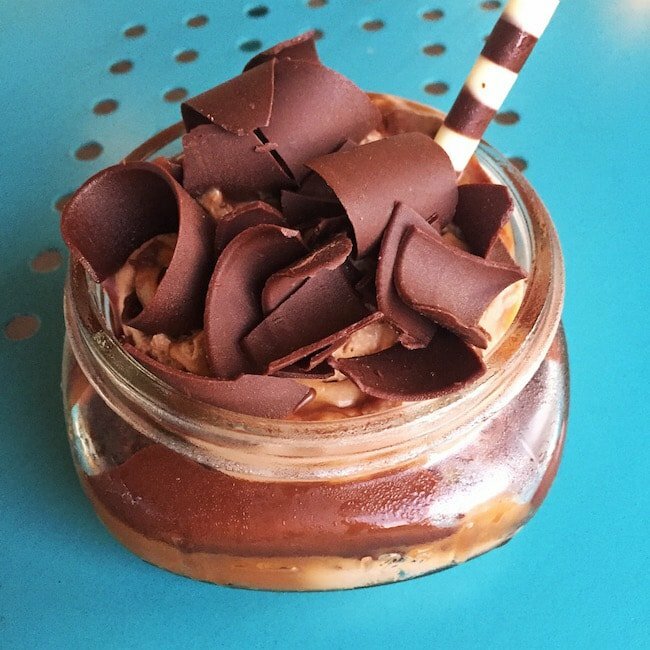 Make sure you save room for the lemon bundt cake and “Love in a Jar.” The Love in a Jar has layers of salted caramel, dark chocolate mousse, and devil’s food chocolate cake. Yep, it’s amazing! I licked the jar clean! 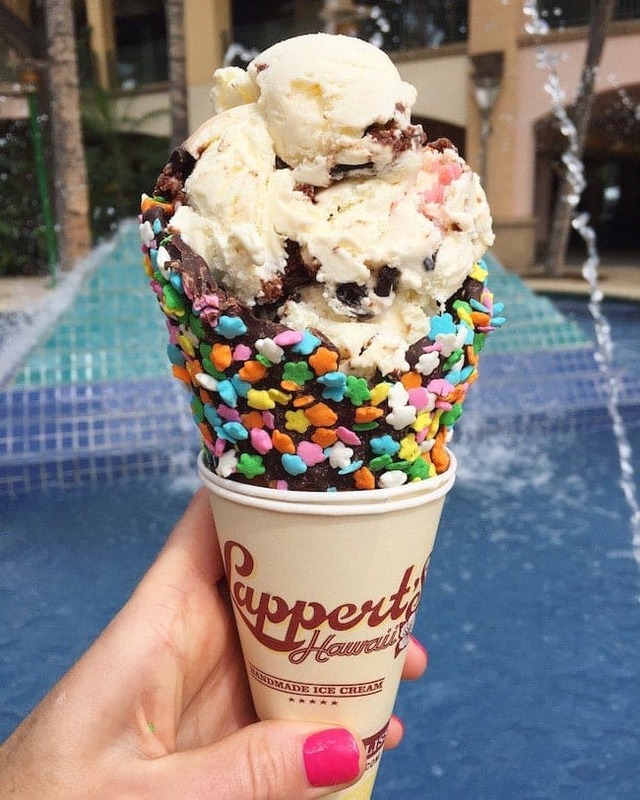 Lappert’s Hawaii has amazing ice cream! There are lots of fun flavors so make sure you get a double or triple scoop! 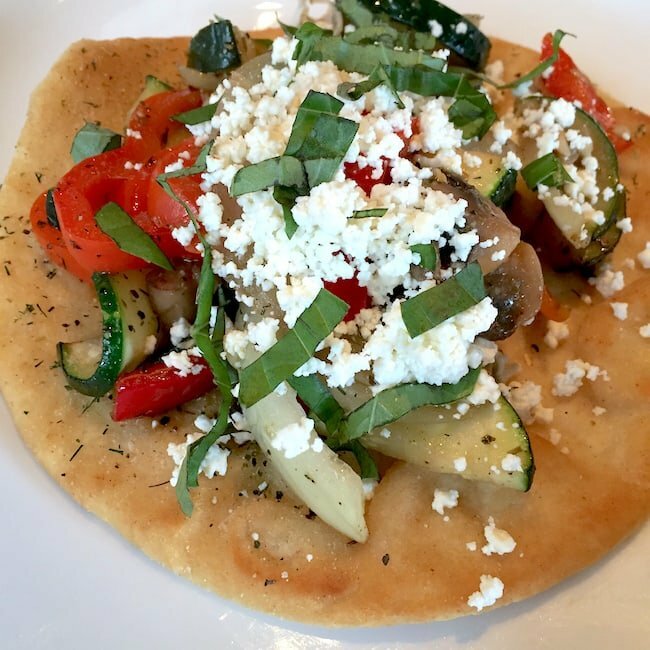 Flatbread Company is a fun and delicious pizza place in Paia. The no boundaries salad with veggies is one of the best salads ever, so start with that. The pizza (flatbread) is amazing too and it is a great place to take the kiddos. They give the kids a ball of pizza dough to play with while they are waiting for the food. The boys had a ton of fun! Sorry I didn’t take a picture, it was dark and we were too busy eating:) Trust me, it was good! We rented a van so we could drive all over the island. It was nice to have our own vehicle so we could explore. FYI-you can rent car seats from the rental car company so you don’t have to bring them along. After we picked up our rental van at the airport, we went straight to the grocery store. We stocked up on groceries so we wouldn’t have to eat out every meal. It was nice to eat some meals in at our villa. We also bought our own snorkeling gear. We got two sets for $100, which is cheaper than renting gear every day. By putting our hotel charges on our Hilton HHonors Card from American Express, we were able to earn 7X Hilton HHonors Points, which we can put towards our next trip. We also earned 5X Points at the restaurants above (because you earn 5X Points for each dollar of eligible purchases at U.S. restaurants, U.S. supermarkets and U.S. gas stations). We had the BEST time. We already want to go back…or maybe we should go somewhere else. Any suggestions? By putting our trip expenses on our Hilton HHonors Card from American Express, we were able to earn Hilton Points, to put toward our next trip! Yay! We can’t wait for our next travel adventure! This post is sponsored by American Express and Hilton HHonors, but our opinions are our own. Thank you for supporting the brands that continue to make Two Peas and Their Pod possible. I love how cute your family is Maria! Those boys are too adorable- what great looking vacation! Thanks so much for this post! 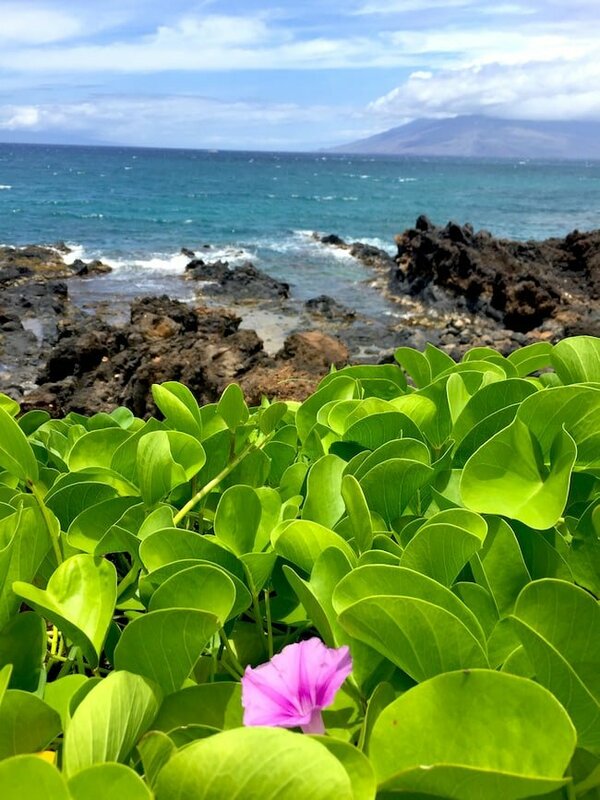 We are headed to Maui in September and these suggestions will come in very handy! Your boys are adorable and it looks like y’all had a great time. You are going to love it! Have so much fun! I still have never been – LOVE all the photos! And those boys of yours are so adorable! Your post makes me feel both hungry and like I just had a getaway! What did you do with the boys when you were both snorkeling? OMG that food looks amazing! 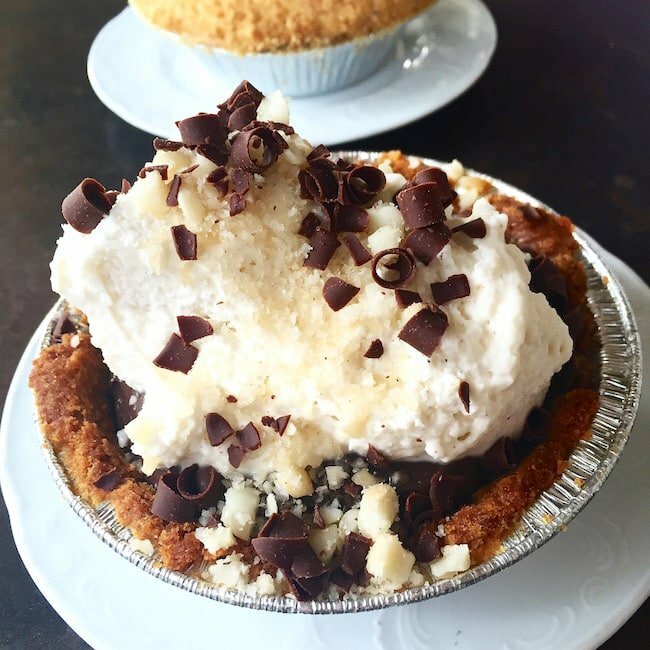 I need to become an honorary member of Twopeas family just so I can ride along on these foodie adventures. Any plans to mimic some of these recipes in the future? It sounds like you had a fabulous trip and your pictures are simply fantastic! 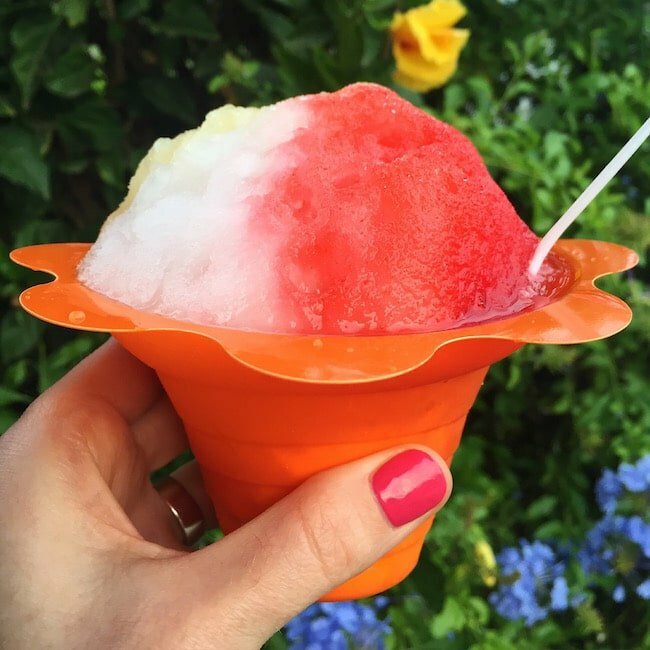 Someday I want to go to Hawaii…it’s not in the budget now but I loved hearing about your food experiences and about how family friendly everything was. The boys looked looked like they were having a fabulous time! Hawaii is the ultimate vacation spot! The boys loved it! Great post! You have a beautiful family. Loved the pictures; now I’m hungry and am seriously contemplating a trip to the produce stand! Thanks for sharing! great post! Glad y’all had a lot of fun! Looks amazing! My family and I went to the Grand Canyon back in ’89 and it was really cool! We drove from Northwest Arkansas. It was a great week! Stopping along the way! We also went to the Royal Gorge! So cool! Y’all have a great weekend! Looks like a great place to have a good time and good food when you are young. Beautiful photographs and exciting to see all you did as a family. I think I drooled all over my top as I viewed the food. 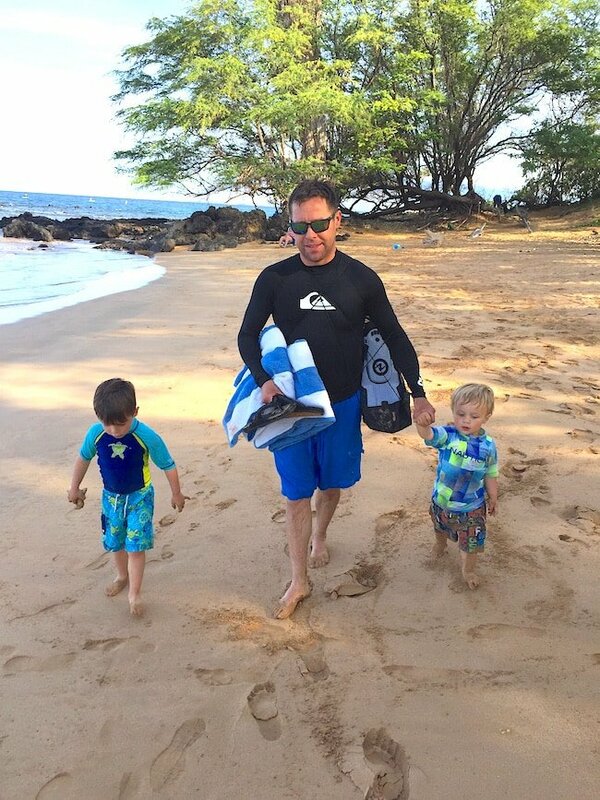 Our family love Maui and particularly Wailea. The coastal walk between the hotels and the beaches is amazing and a great way to walk off the delicious meals, drinks and snacks we enjoy on our holidays . We love Wailea too! It really is paradise! Beautiful pictures, loved them all. Glad you all had a great time! 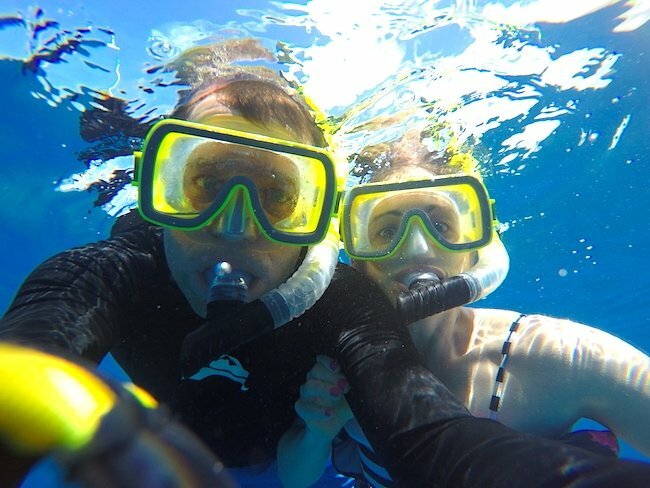 Other alternative family things to do in Maui, especially if you’re on a budget are at http://www.trailblazerhawaii.com. Enjoyed the blog! Looks like a super fun destination!! This looks like the best trip ever! What more do you need than the beach and all that amazing food? Take me back to Hawaii ASAP! i got to go to ululani’s when i was in maui last summer, and it was the best! i loved all their tropical flavors (and it was even better with macadamia ice cream!). Thank you for your post? How old were your little ones m? How did you manage to go snorkeling with the little youngsters? We went to the Big Island when my little guy was 7 months old and loved it. I am due with my second son I’m July and are planning to go back to Hawaii with both boys. Debating on going back to the Big Island or trying out Maui? Both islands, just one. We loved the Big Island but have heard Maui is nice too. Your thoughts? On whether to go back to the Big Island that we loved! Or go to Maui? Your thoughts? Oh man, tough decision. We love both islands. If you haven’t been to Maui, I recommend trying it! It is dreamy! 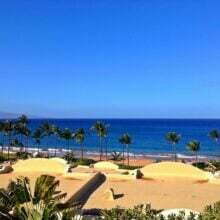 My hubby and I went to Maui about 5 yrs ago and loved it! 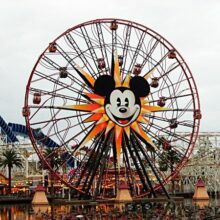 i would love to go again! Looks like you had a great time too! Such a great post! We have 2 boys same ages and are headed to Hawaii in the fall. Which island would you day is better for a family, Big Island or Maui? We loved both islands. We didn’t leave the resort at the Big Island, it was that amazing, so I can’t speak to the rest of the island. Maui is very family friendly. That would probably be my pick with little ones! Have fun! Your photos are absolutely stunning! It looks so refreshing and all of you had a lovely tim.